1) Treatments of patients with severe and extensive burns of a big surface of an integument. 2) Oncology. Relief of sufferings of patients with oncological diseases at the last stages. (in particular cancer of a neck of uterus). Use in the Hospice. 4) Care of aged patients. Means for prevention of decubituses and damages of an integument at long lying patients. 6) Orthopedics. Recovery of the patient at multiple fractures of bones, and also bruises of internals. 7) Care of patients during an exacerbation of rheumatism. 1) Availability of the advanced system providing a condition of dry liquid in a bed. What allows to lower to a minimum of pressure upon an integument of the patient, and also to increase blood supplies of the damaged surfaces of skin and to provide the fastest of healing. 2) Uses of ceramic micro balls of the increased wear resistance that prevents formations of "netyakushy" dust. 3) The problem of formation of a static stress and its influence on the patient and electronics system is solved. 4) Control of humidity and temperatures of microballs. 5) The alkaline and ionized environment of microballs provides additional antibacterial protection and I promote improvements of healing of skin of the patient. 6) Availability of the air filter which prevents hits of bacteria from the outside in inside systems. 7) Mobility and ergonomics of system due to division of the console of management with a bed. A) The built-in monitoring of weight with an accuracy of 100 grams. B) Adjustment of a bed on height from 850 mm to 1030 mm. 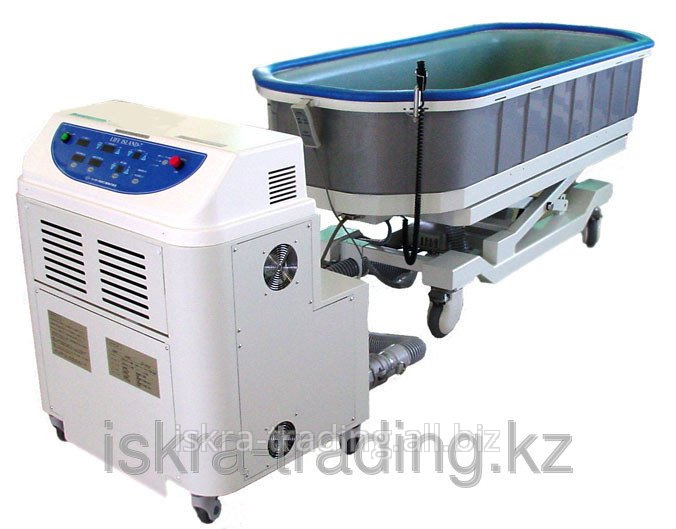 Unbelievable price on Antiburn bed of LI-7 Life Island "Keisei in Almaty (Kazakhstan) company Iskra trejding, TOO.